Text & Photographs By Marilyn Villar © All rights reserved. To start off you have to find the butterflies. Look on the side of the road, around ditch’s and where you see wildflowers. If you walk in the early morning or late evening they will not be moving as fast. 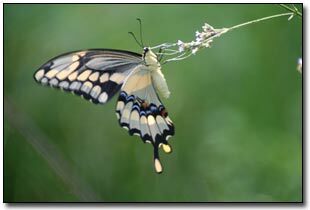 If you have flowers in your yard, you may have butterflies flying around already. I have wildflower gardens to keep my butterflies happy. They love Zinnia’s and they love my Mimosa trees. The smaller butterflies are mostly low on the ground around patches of grass. Some also like mud or damp soil. Check around ponds and such. Some like rotting fruit. Check around your fruit trees too. Butterflies like hot weather. Look around your neighborhood. You will be surprised once you start looking for them how many you find. You will find more small butterflies then big ones. That’s ok; the small ones some times are easier to photography. 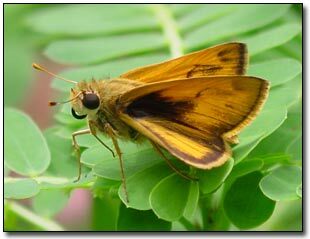 Your Swallowtail’s are your bigger butterflies and your Skipper’s are the smaller ones. If you would like to learn more about the butterflies and there habit’s, get a good butterfly guide or look on the Internet. Once you find them, it’s time to photograph them. Walk slowly; keep your eye on them as you get closer. You may have to get on your knees to get a good shot. I have been on the ground many times trying to get that perfect shot. Remember move slow. Now the butterflies may fly away. Don't be discouraged. 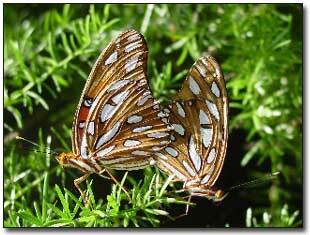 Sometimes Butterflies come right back to the same spot, so don't t jump up or move to fast when a butterflies leaves. Shoot many shots of that butterfly. You will be surprised how many good photos’ you end up with. You will have a few good pictures from those that you took. This is the benefit of taking more then one shot of the same butterfly. Use a tripod if you can, a tripod will steady your camera and you you will have a clearer photo. Try to take shot’s in the morning, late evening or in cloudy weather. The brightest part of the day you will need a filter to help filter out the bright sun to get that good shot. You know how you need sun glass in the bright sun? Think of your camera as your eyes. Try using your flash. Yes use your flash in the sun. You will get a better photo. You won’t have shadows on your photo and it softens the subject. Don't press the camera button hard. If you press it hard it will move the camera and you won’t get the shot you wanted. Press down gently half way to lock focus. Then press the rest of the way to get photo. Any little movement of the camera will make your photo fuzzy. No you don’t need the more pricey camera to take good photos. Your point and shoot cameras are very good. You can use a disposable camera. If you think your close enough get in a little closer. Try to fill your camera with the butterfly. Try to off center your subject, it makes the photo more interesting. Now go out and get some good Butterfly photos!